My daughter came to me in tears yesterday. She related to me how a little girl in her class made her feel bad because she didn’t wear clothes that were fashionable. She also told my daughter she was too fat to play with her. Subsequently, the entire class made it their mission to remind my daughter of her weight issues. They targeted her in foursquare, knocking her out of the game first each time she had her turn. My daughter, in tears, cried to me, “Mommy, I am just too fat to play with anyone. I don’t deserve to live.” My daughter is eight years old. This has been an ongoing issue for her for the last year, and my blood boils each time these things happen. Yesterday, I snapped. Therefore, this week I explored bullying and the many elements that may be ignored which can perpetuate the phenomenon. It is for Cecilia. 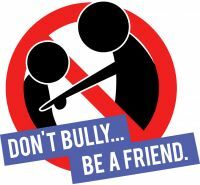 This past month, several recent incidents highlight the dramatic way bullying has been ignored and placed children at risk. When I say children, I mean all children, both the children who bully as well as their targets. For example, the story by Matt Pearce of the Los Angeles Times is a perfect example of how one child suffered at the hands of another, even when the school was warned two weeks previously that an aggressor was targeting a child. Instead of intervening, the Missouri school seemed to turn a deaf ear, which resulted in an attack on a 12-year-old that left the child with a fractured skull, a broken jaw, and possible permanent hearing loss. The dynamics of the case are common: School officials were warned, yet the efforts they made (or did not make) were ineffective, the target child had high functioning autism, and the parents attempted to alert the school of the increased volatility of the situation but to no avail. The dynamics are important as they demonstrate our efforts to reduce the phenomenon of bullying have not had an impact. To examine the problem from a humanistic lens, we cannot simply view bullying from point of view of the roles of the aggressive child as the bully and the target as a victim. This was the goal of Boston University’s Rich Barlow when he interviewed the researcher of a metastudy that looked at the suicidality of both the target and the aggressor in the phenomenon of school bullying. The results were surprising and provide evidence that both children are more likely to have suicidal thoughts and make an attempt at suicide than children who are not targets or aggressors in a bullying situation. It is a reminder that both aggressor and victim are responding to their environment and that both may live with lasting scars. Rick Nauert of Psych Central explores a study that further demonstrates both bullies and their targets suffer long-term psychological impact from the experience, even well into adulthood. In a Finnish study, researchers found bullies were more likely to develop antisocial personality disorder, while the targets of their aggression showed a higher risk of developing anxiety disorders. They showed boys who bullied and boys who were the targets of bullies had a five times increased risk for psychiatric disorders if the bullying behavior occurred in early childhood. In addition, they found both groups had poor family functioning in various forms. While examining the individuals involved may help tease out some factors, they are certainly not the only factors at play. In a recent article in The Atlantic, Cevin Solis challenges schools to consider the environment created by compulsory education as a factor in the phenomenon of bullying. He criticizes the businesses and organizations profiting from the situation: those who sell and purchase bully reduction programs. He suggests these programs may, at best, be minimally effective in reducing bullying behavior and, at worst, contributing to the dynamic that creates the situation in the first place. It is time to consider how the school effects the situation. Body image, like my daughter’s, may be a contributing factor in the occurrence of bullying behavior. Kier Macdonald of Psych Central examines the impact body image has on the perception of bullying, and gives practical suggestions for parents and professionals in dealing with the experience of bullying. He dares to suggest that even if a child is not directly bullied, simply witnessing bullying behavior can also result in anxiety for children who are not directly bullied. The author lists a number of steps that teachers can take in the classroom to reduce the incidence of bullying and promote a healthy body image among all children. One theme that continues to surface in managing bullying behavior seems to be the active participation of bystanders. A New York Times op-ed piece by Anna North presents results of an Ohio State University study that investigated the way bystanders respond to a situation of cyberbullying, suggesting several possible explanations for the lack of direct intervention that can offer new ways to encourage bystanders to speak up against bullying. If people notice bullying, they can mark their disapproval with a thumbs down, rather than a direct comment. Five thumbs down gets a comment removed. The researchers said that this shows that bystanders want to intervene but they may just need alternative tools to help them speak up. An example of bystander intervention played out in a Wisconsin middle school, making headlines by acting on their instincts to protect and defend a cheerleader with Down’s syndrome from the attacks of a school aggressor. In this case, the team witnessed the bullying and was unwilling to accept it. In this article, Fox News reports on how the team stopped a game to address the issue head on with the bully. It is refreshing to see that middle school children have the courage to confront the behavior and alert others to the fact that it is unacceptable. Drake Baer from Business Insider looks closer at the factor parents and teachers may have had in the creation of bullies, but suggests that unearned praise and an overprotection of self-esteem has led to the situation that perpetuates bullying behavior. Citing Baumeister’s work, Baer explains that self-esteem does not predict school or job success and may actually lead to despotic behavior. The generation of children raised on a steady diet of the praise-only approach, such as that used in schools, has contributed to an increase in narcissism where children see everything they do as praiseworthy. Praise, Baer suggests, should be countered with criticism when the behavior warrants it, even if it affects the self-esteem. A Washington Post article describes the efforts one parent took to address bullying of his daughter and the impact it had on the parent of the aggressors. After recording the cyberbullying of his adopted African-American daughter on Snapchat, this father contacted the parents of the bullies. The father of the alleged cyberbullies left a recorded message with a racial slur on the victim’s father’s voicemail, which the victim’s father played as part of You Tube video, as the latter was unwilling to allow parents to perpetuate the unacceptable teaching of aggression. The video received 1.5 million views and the father of the alleged cyberbullies lost his job. In this case, there were dire consequences for a parent who chose not to correct the unacceptable bullying by his children. Parents also have a responsibility in this situation. Based on these articles, I have new ideas in helping my daughter with her situation at school. I hope the result will be a new attitude for my daughter and the entire class. At least, she can learn a few one-liners to counter their criticisms such as “When is your audition for Fashion Police scheduled?” or “I can see how lipid fat deficiency has affected your brain.” At least it is a start.